The Valencia wrestling team poses after winning the CIF-Southern Section title at Redondo Union High School on Saturday, Feb. 3. Courtesy photo. 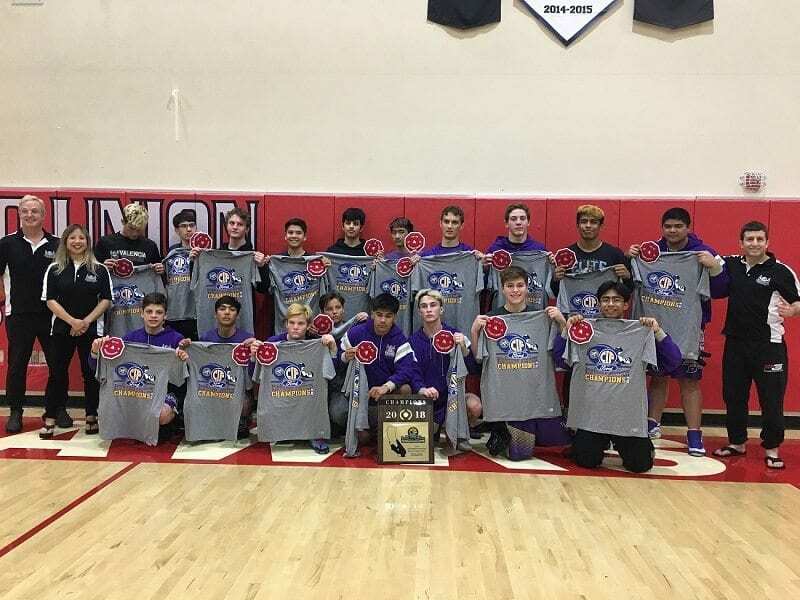 When Brian Peterson first began the Valencia wrestling program, he promised school administration that his team would win a CIF-Southern Section championship crown in four years. On Saturday, Peterson made good on that promise as the Vikings won a CIF-SS team championship at Redondo Union High school. “It feels great. I was always pretty confident,” said Peterson. “It wasn’t easy, but they pulled it off. It was something that I thought was possible. So I kind of like made a claim and it worked out.” The Valencia boys team won the title as a team, while the girls team had two individual champions and a runner-up. Freshman America Lopez and junior Priscilla Ramirez won the title in their respective weight classes, while Shani Tyson was a runner-up. MORE: Valencia wrestler America Lopez making waves as a freshman Collectively, the boys won 29 of 34 matches in the tournament. Out of the 29 victories, 25 were won by pins. The Vikings ended a day with a win over Mira Costa in the finals. Despite the loss, Mira Costa joined Valencia in a group chant that ended in with the commonly-heard “family on 3” chant. “I’ve never seen that before when the losing tam grabs the winning team and we all came together as one and we’re all cheering as one.” Valencia’s next task is the Tri-Valley League finals, which will be held at Valencia on Wednesday. Peterson is planning on having 11 wrestlers in the varsity lineup and expects 10 to win individual titles. To move on to the CIF Divisional tournament, which begins on Feb. 16, wrestlers must finish either first or second in their weight class. Lopez, Ramirez and Tyson will next compete in the CIF-SS Masters Tournament at Eleanor Roosevelt High School on Feb. 9th and 10th.